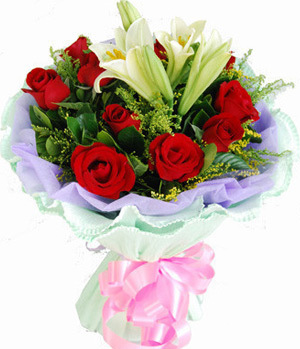 11 premium red roses, 1 stalk easter lily and match foliages and small flowers. Lilac colour cotton paper and green crepe paper round packed. Please note may substitute easter lily for white lily depending upon availability in certain regions.